Last winter, Shavi had been trying to survive as a street dog during the harsh Russian winter when her life nearly ended. She was the victim of a hit-and-run, which resulted in two badly broken legs, among other injuries. She nearly froze to death, but two good Samaritans found her and brought her to a veterinarian. 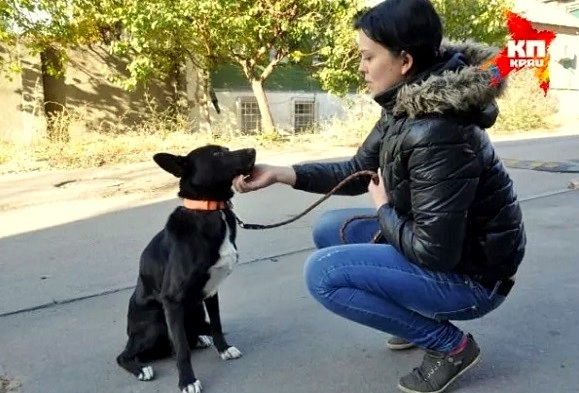 They took their plea to find Shavi a home to the public, and only one person responded – Nina Baranovskaya.The woman brought the injured dog back to her Rostov-on-Don home, and nursed her back to health. 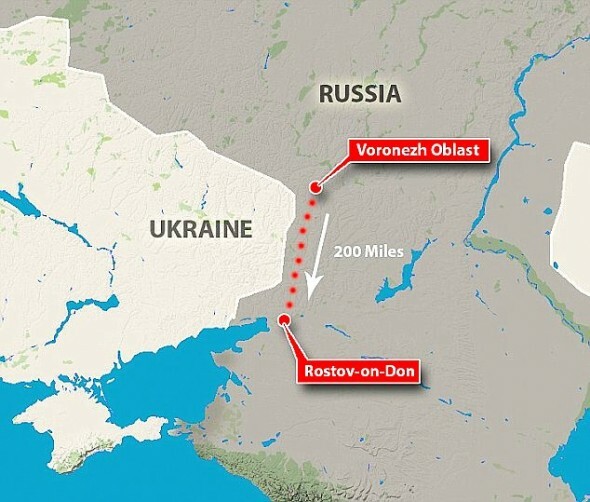 According to Komsomolskaya Pravda, she taught Shavi how to walk again, and trained her to understand basic commands. Though she would have loved to have kept her, obstacles prevented Nina from doing so. Her apartment was too small, especially with three cats and two other rescue dogs, and her job and family commitments kept her from giving the new one as much attention as she needed. As much as it pained her to do it, she searched for someone to take her in, but the only friends willing to do so lived 180 miles away. They lived out in the countryside, and Shavi would have more room to romp around. Nina believed this was truly the best choice for her.Almost two weeks later, Nina was walking down the road when she was startled by the sensation of something brushing up against her leg – it was Shavi! Nina burst into tears, hardly able to believe that this dog walked so far just to find her. When she leaned down, Shavi jumped right into her arms. What was most fascinating about the reunion is that during the time Shavi had vanished, Nina’s family had moved to a bigger apartment, about five bus stations away. Responses to "Dog Walks 200 Miles to Find the Woman Who Rescued Her"
It is a wonder the dog didn't get shot, walking that part of the country. What a love story. Nice. You are as special as the dog who loves you. Brought tears to my eyes. There is no love better than that. One cannot imagine the love that dog has for you, so special. Thank you Nina! You and your dog are beautiful in every way! Big love - sweet creature. Beautiful what your loving heart gave to Shavi and the grateful love she returned. That is so wonderful. For Shavi to return to you like that sure shows his undying love for you. May God bless & be with you both. You have a Beautiful Soul <3 You for giving her a loving warm home to live and a friend of unconditional love!